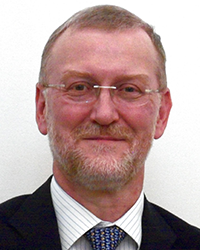 Dr Siegfried Schmitt, Principal Consultant, at PAREXEL Consulting, joined PAREXEL Consulting in 2007. He provides consulting services to the medical device and pharmaceutical industry on all aspects of regulatory compliance, particularly the design and implementation of Quality Management Systems and Competitive Compliance. He is the PAREXEL practice lead for Quality by Design. Dr Schmitt’s areas of expertise include all aspects of quality and compliance for systems, processes, facilities and operations for drug substances and drug products. Specifically, he consults on compliant quality systems that integrate industry best practices with future-looking compliance approaches. He has previously held positions in industry as Senior Production Chemist with Roche and global Quality Director with GE Healthcare and as Validation Manager with Raytheon and Senior Lead Consultant with ABB. Dr Schmitt is an active member of various industry associations, including DIA, PDA, RAPS and ISPE, conference presenter and organiser of international events. He is also an accomplished author and editor. Dr Schmitt is a Chemist by background, is a Fellow of the Royal Society of Chemistry and holds Chartered Chemist and Chartered Scientist status.